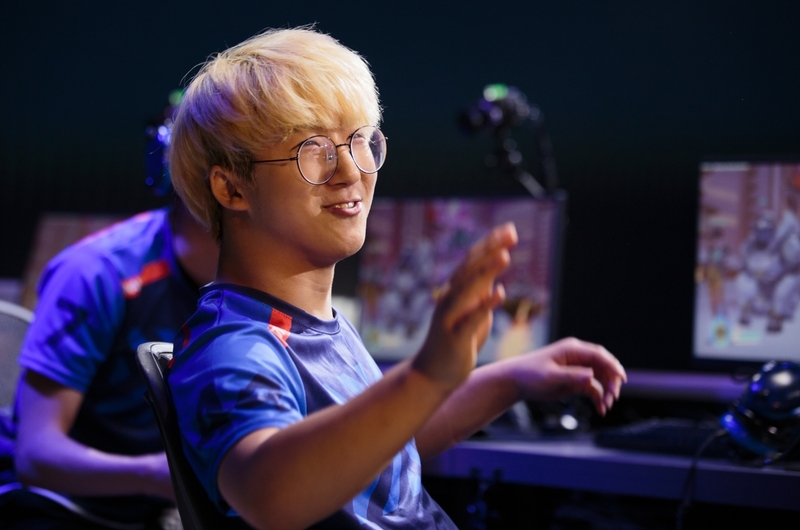 SeongHyun "JJoNak" Bang was just doing JJoNaK things in last night's Overwatch League match between the New York Excelsior and Washington Justice. The Zenyatta main, OWL MVP, and all-around gaming stud popped off in a big way during a game on Hanamura in NY's 4-0 sweep of the Justice, cleaning house with a disgusting flank and picking up five of the six possible kills with some well-placed balls. While NYXL lost their Stage 1 playoff match against the Seoul Dynasty, the team is now 10-0 overall in the second season of the league after winning their first three matches of Stage 2. JJoNaK is a big reason for NY's success, as his balls have come in handy in every match thus far. NY's next match is on Sunday vs. the Florida Mayhem, who will surely be on the lookout for the ballsiest support player in Overwatch.